After lunch we headed off again in the zodiacs. 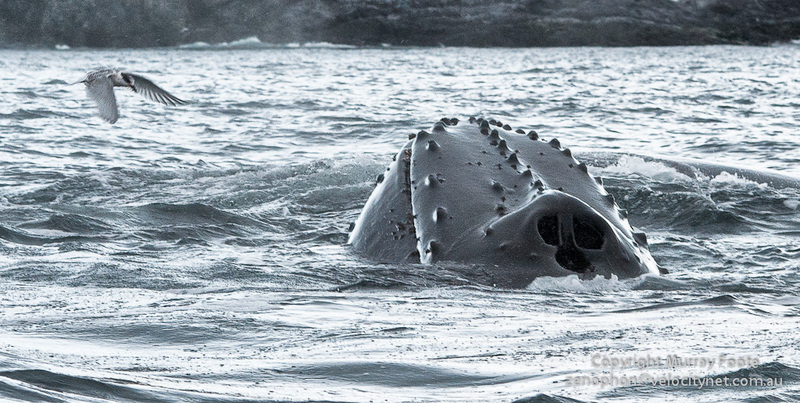 This was to be the day of the Humpback Whale as we continuously tracked humpback whales from our zodiacs. There were evidently large congregations of krill. 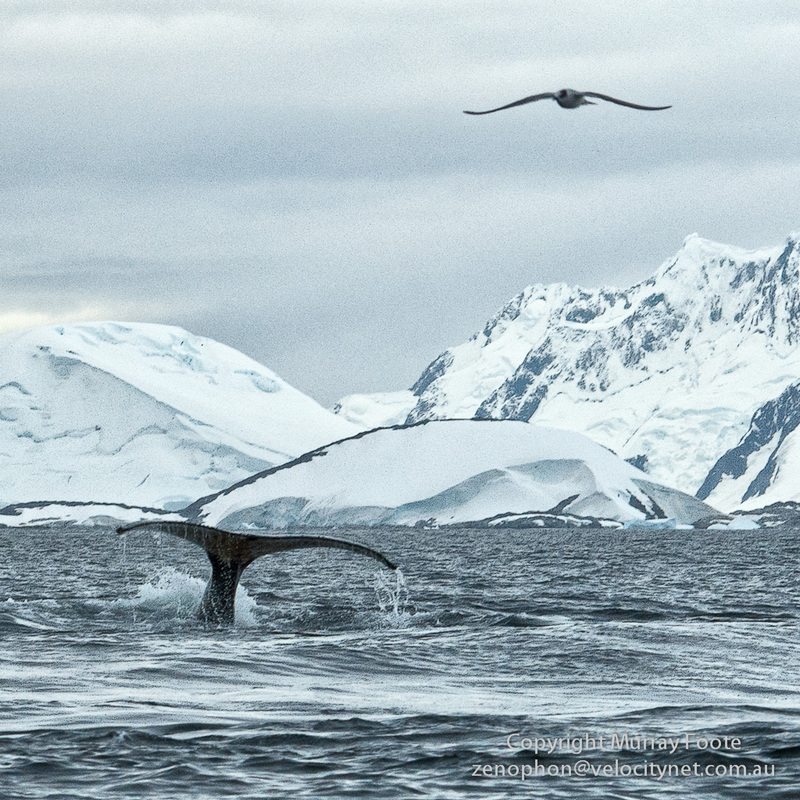 We would follow the Antarctic Terns circling overhead, then a big patch of bubbles might rise to the surface and shortly after the humpbacks themselves would appear, sometimes quite close to the zodiacs. GPS Location. (Green arrow) At least as I write this, the google map is a bit misleading in that the satellite images were taken in winter and there’s a big iceberg here – so ignore that. 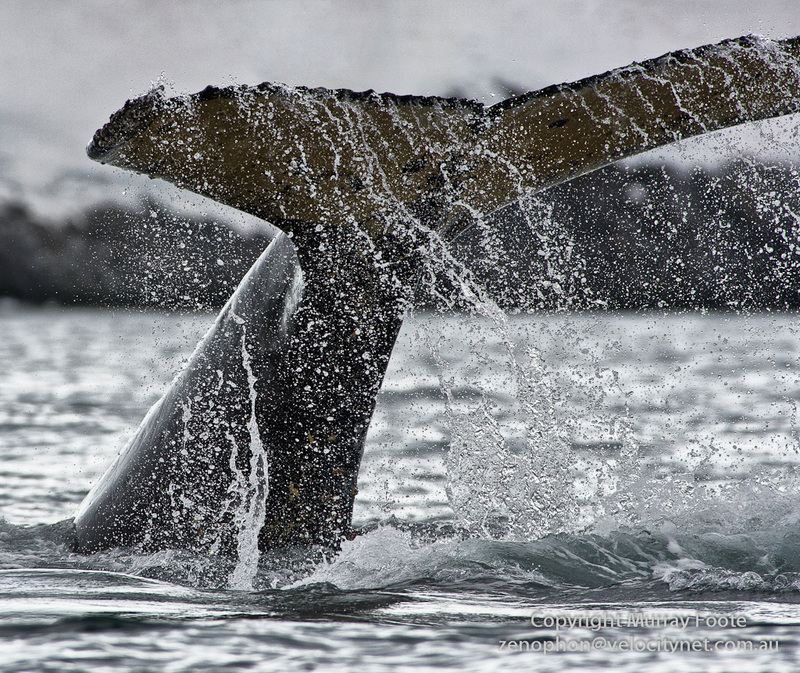 All following images of the whales were taken close by, roughly two kilometres north of Vernadsky Station. 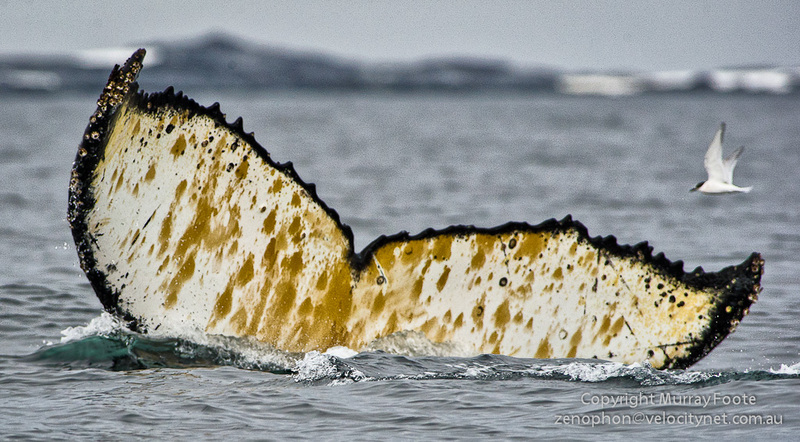 Whale tails. 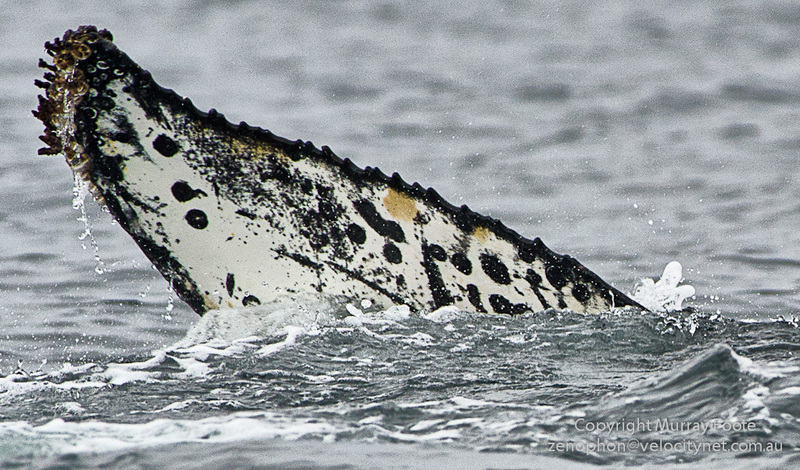 The patterns on the underside of the tail are unique to individuals. There are three whales here. One has just come up with a great gulp of krill. 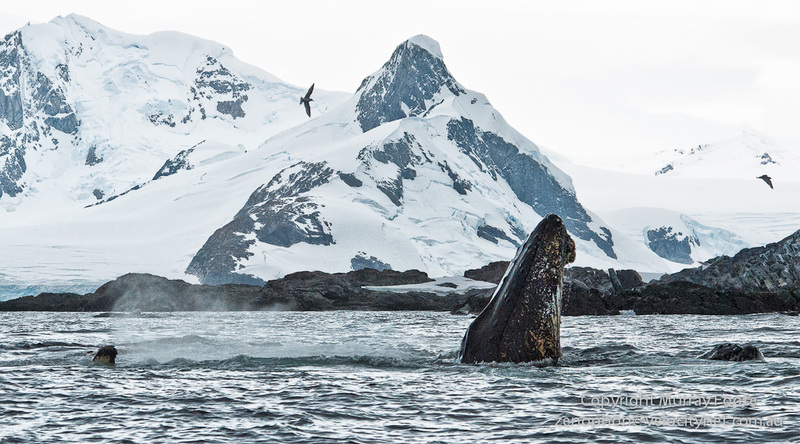 Antarctic tern and humpback whale. This is the head and the blowhole, perhaps looking something like a riveted armour-plated submarine from the American civil war. Eventually, it was getting late, we turned back and made for the ship. Had we stayed for just another five minutes, I would have been able to show you a breaching, a whale soaring into the air, full body-length. Altogether, a most amazing day. 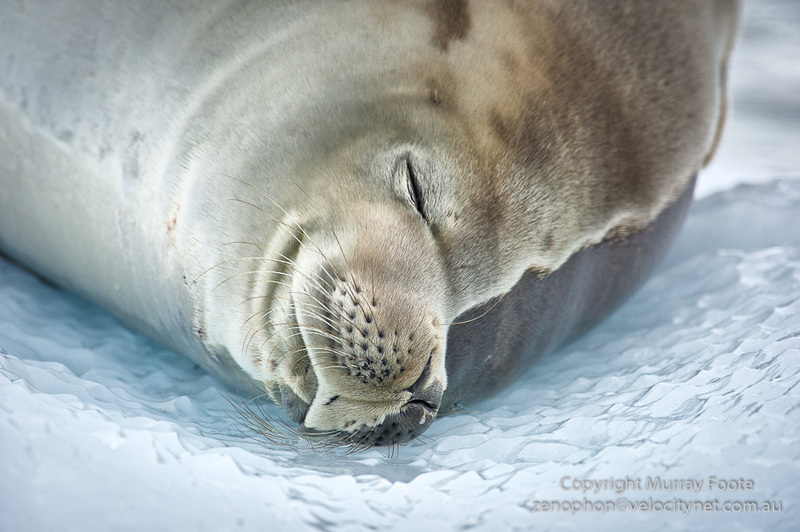 Some of the expedition staff who had been on many voyages to Antarctica said they had seen nothing like it. 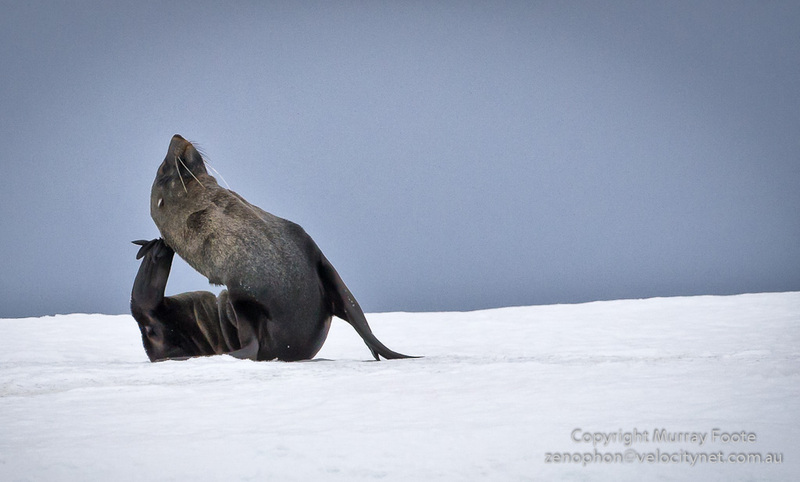 This entry was posted in Argentine Islands, Vernadsky Station and tagged Antarctica, Crabeater seal, Fairy tern, Fur seal, Humpback whale, Icebergs, Photography, Seal, Travel, Vernadsky Station, Whale.